Good Friday – 25 March 2016 – is a date that will go down in both Cuban and Rock ‘n’ Roll history. The Rolling Stonesbecame the first rock band to play a massive free outdoor concert to hundreds of thousands in Havana. 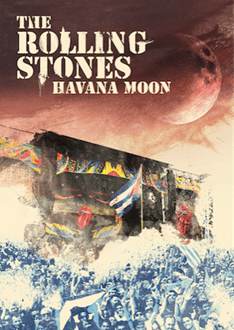 This historic concert was captured by award winning film director Paul Dugdale and the result is: ‘HAVANA MOON’ – The Rolling Stones Live in Cuba out on DVD. The Rolling Stones – Havana Moon DVD released by Eagle Rock Entertainment on 11 November 2016.